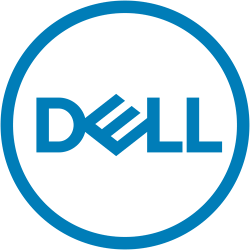 World leading technology brand Dell will be the Rugged Computing Technology Supplier for the Clipper 2017-18 Round the World Yacht Race. Since it was founded by CEO Michael Dell in 1984, Dell has been empowering countries, communities, customers, and people, with its technology solutions helping people do and achieve more, whether they are at home, work, school, or crossing the world’s oceans. Dell’s unique Rugged mobility devices are the perfect fit for the Clipper Race; an event that spans the globe, takes place in extreme environments, and requires the toughest technology to see each team through to the finish. The Dell Latitude Rugged laptops and tablets will be fitted to each of the twelve Clipper Race 70-foot ocean racing yachts. They will be used by the Skipper and crew for on board navigation to plot the fastest routes, keep regular contact with the Race Office, and send back daily blogs, images, and video, so followers and those at home can keep up with all the action on board. The Dell Latitude 14 Rugged Extreme 14-inch notebook is made with shock-absorbent materials and meets rigorous military-standard requirements. Compression-sealed from sand, dust and liquids and built to withstand extreme heat and cold whilst withstanding shocks, drops, and vibrations. Built for real-world performance and security, it also features a first-of-its-kind flip-hinge design for versatility in any environment. “Taking on Mother Nature’s toughest conditions, the yachts and their crew will face many tests, including extreme heat, condensation, corrosive salt water, and numbing cold, requiring the toughest technology to see each team through to the finish,” says Shannon MacKay, Vice President Rugged Mobility, Dell Client Product Group. “Dell is excited to be the provider of Ruggedised computing services for the Clipper Race. To further showcase the capabilities of Dell Latitude Rugged, two members of the Clipper 2017-18 Race Crew will act as ambassadors for Dell throughout the race. They will use the Dell Rugged mobility devices to share their experiences on blog posts, video, and social media. Dell is based in Round Rock, Texas.